FlightDeck by Craft and Theory allows easy viewing of flight modes, altitude, speeds, attitude and critical system alerts including failsafes and battery errors such as unbalanced cells warnings and low battery alerts on your transmitters. As such, it is a good companion to Tower or Mission Planner that adds extra confidence to your piloting. Complete documentation for FlightDeck is available here. 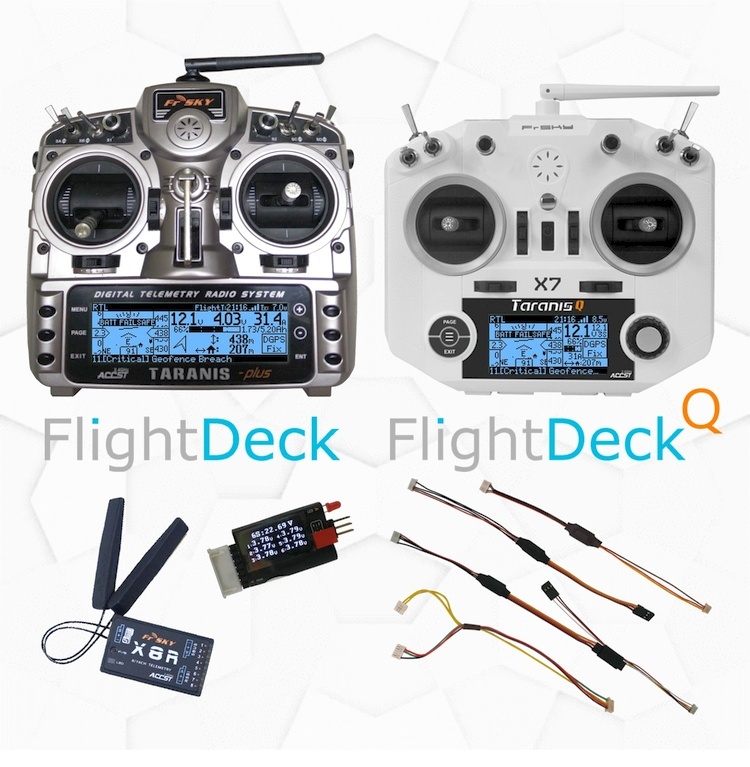 Complete turnkey packages containing the required equipment for FrSky telemetry with FlightDeck preinstalled on the Taranis are available here. Launch FlightDeck! Turn on your Taranis and long press on the PAGE button.